However, when you cut through the spectacle that surrounds Dreamforce – which included everything from real life protests to a “rescue dog pen” this year (which apparently was even more popular than Metallica) – there were some useful speeches and presentations that truly illustrated the strange transitions and evolutions that we’re seeing in marketing and sales, many of which are being driven by technology. 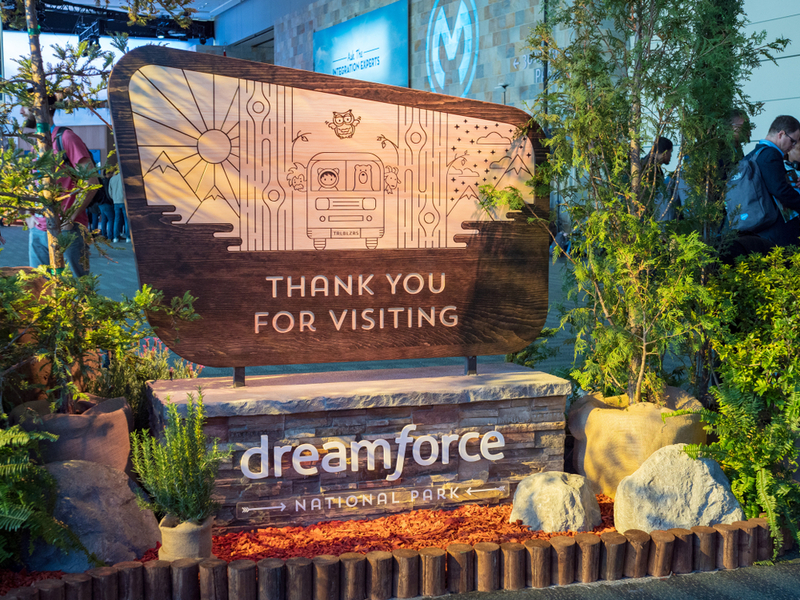 For me, some of the most telling and important stats and messages that I saw come out of the DreamForce circus were from Forrester’s Laura Ramos, who talked extensively about the shift in how B2B buyers are making purchasing decisions. Laura noted that many B2B executives with purchasing authority (62 percent) say they can finalize a vender list solely on digital content. She also stated that 84 percent of senior executives are using social media to support their purchasing decisions. Despite the increasing importance of social media and digital content on the B2B purchasing process, many of the marketers within B2B and B2G companies in and around the Nation’s Capital are still trying to figure out their social media strategy. 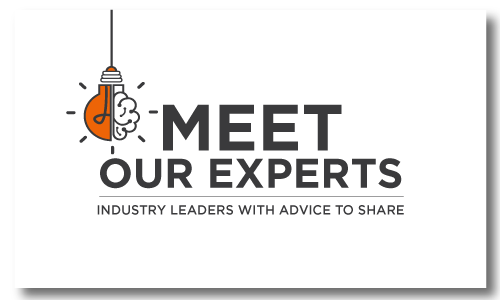 Many of these individuals are experienced marketers that are finding it difficult to abandon the traditional marketing strategies and tactics that have advanced them this far in their careers – purchasing ads in Metro terminals, having large expensive booths at industry events and trade shows. They know that many of their competitors are standing up blogs, using “the Twitter” and engaging online, and they feel they should too – but they may not really know why or how. What I’ve seen, as a result, are a bunch of companies taking small steps into social media and content marketing – often with little cohesion, strategy or planning. Content is king – If your company and all of its competitors are starting content marketing initiatives and programs, chances are there is going to be a lot of similar content being developed and pushed onto the Internet.What makes your content different and interesting? Why should your prospects want to read and engage with your content online over anyone else’s? Are those repackaged press releases really going to build an online readership and following for your company? Good content will be engaging, insightful and – believe it or not – entertaining. Nobody is saying you need to be the George Carlin of blogging, but a conversational tone, the occasional tongue-in-cheek joke and a fresh approach to a subject will always help keep readers engaged and interested. Changing up the format of content (podcast, videos, etc.) also ensures that you have content that appeals to everyone, regardless of their preferred medium. If you build it…they won’t come – Just standing up a blog and creating really interesting and insightful content isn’t going to draw your prospects to your Website like moths to the flame. What are you doing to help them find it? How are you ensuring the RIGHT people are the ones reading the content?This is why a blog, buyer community or online publication without a promotional strategy is effectively pointless. The tools are there – SEO, online networks and social media channels – to effectively promote and drive readers to your content. You just need to do some homework to find where these readers are, and then work to get the right people in the company to use the content to engage them and start discussions. Know thy customer – This is especially poignant for smaller companies with small, but agile, sales teams. If you have limited sales resources, it’s important that their efforts are focused on the highest priority opportunities and that they have all of the data, information and tools they need to close business.This is an area where many B2B and B2G marketers are failing to truly take advantage of their social media and content marketing programs. With proper analytics tools in place, each piece of content can be a factory, pumping out important information and intelligence that can be used by the sales team. Let’s say your company sells multiple, disparate technology products into state and local governments. If your sales team has prioritized selling solutions into – for the sake of example – the State of California, wouldn’t it be helpful for the sales team to know where that state’s needs and requirements lie? By analyzing how readers from the State of California find your content and what content they digest, you can build a picture of the topics and trends that they’re most interested in – and even some of the technologies that they’re searching for. This intelligence can then be shared with the sales team. As evidenced by Dreamforce 2018, the way B2B and B2G executives are making purchasing decisions is changing. Online content and social media are shaping buying decisions, making it more essential than ever for companies to start engaging its prospects and sales targets online. Rushing into digital content marketing without a strategy for the type of content you’ll create, how you’ll promote that content and how you’ll generate actionable intelligence from these activities will only result in failure or missed opportunities. However, by taking the time to create engaging, entertaining and insightful content, promote it appropriately and establish a system for harvesting analytics and intelligence from the engagement it creates, you can institute a program that generates results. 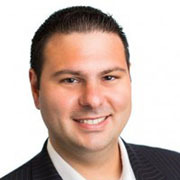 A communications expert and journalist with over a decade of experience, Ryan has edited and contributed to multiple popular online trade publications focused on the security, satellite, unified communications and network infrastructure industries.